Attack of the Messy House! There are many things I would rather do than clean my house. If it weren’t for hosting a weekly women’s Bible study on Wednesday mornings, my house would probably not get cleaned on a regular basis. A few times a year, I treat myself to hiring a cleaning service (usually through a Groupon or Living Social deal) and the spectacular results make my heart sing in gratitude. Being a left-brained, organized (at times, overly so) person, I approach cleaning systematically and orderly. At times, though, the clutter and messiness of my house can be overwhelming, and that’s when I employ the Kamikaze Cleaning method, developed by my friend, Stephanie Buckwalter. The Kamikaze method is designed to be easy, keep the decision-making to a minimum, and start the long-term project of getting your whole house livable again. “This is really about getting your house presentable so you can let people in the front door again. A side bonus is that you will be able to function in your space again. You might even get a few kudos from your family,” she writes in her e-book, Kamikaze Cleaning. 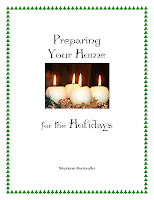 This month, Stephanie’s giving away a copy of her ebook Preparing Your Home for the Holidays, which tells you how to clean the high visibility areas for the greatest impact. 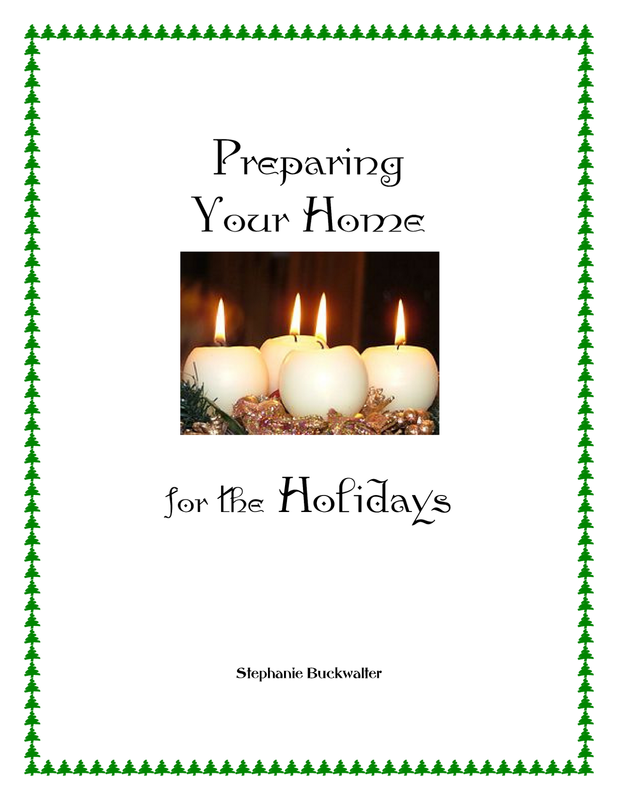 Sign up for her free e-newsletter at http://www.busyhomemaker.com/ by Dec. 12 to get your copy of Preparing Your Home for the Holidays. Sarah Hamaker is a freelance writer and editor, and author of Hired@Home, a guide to unlocking women’s work-from-home potential now available on Kindle. Her stories have appeared in Chicken Soup for the Soul books. Sarah lives in Virginia with her husband and four children. Visit her online at http://www.sarahhamaker.com/, where she blogs about working from home.